Here’s my picks for Marvel’s comics solicitations for October 2018. A full list of solicitations is available here. 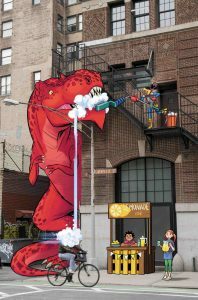 “Moon Girl and Devil Dinosaur” #36. Art by Natacha Bustos. Remember last month when I said Iceman was getting his own ongoing series? Never mind… it looks like Marvel’s quietly scaled back Mr. Drake’s book into a five-issue miniseries instead. The revival of “The Unstoppable Wasp” is also just a five-issue run. 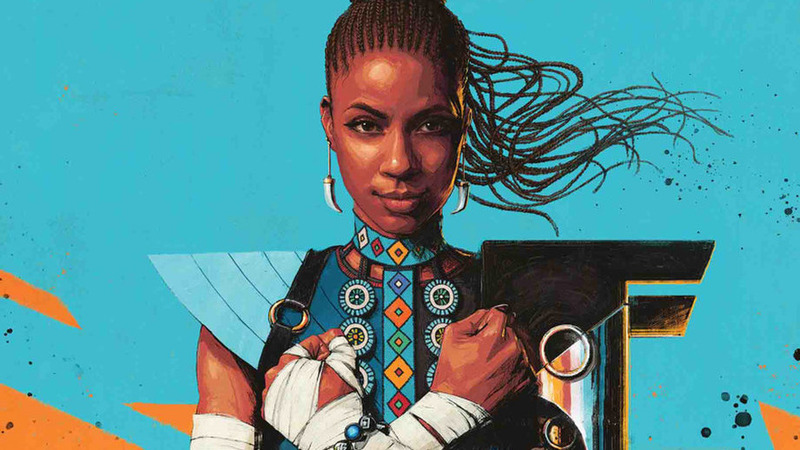 Shuri, T’Challa‘s super-genius younger sister, is receiving her own ongoing series (unless that gets pared back too) this month. Her series will be written by Nnedi Okorafor. Marvel’s bringing back “What If?” for a series of specials. This was their answer to DC’s “imaginary stories” (later “Elseworlds”) in the 70s and 80s. There’s a ton of Spider-Man books out, likely timed for the animated film starring Miles Morales out in December. Among the books, Marvel is releasing a graphic novel based on their “Spidey” series. It’s yet another non-canon series set during Peter’s high school years. Here, he’s attending a Tony Stark-backed science camp. Related to Spidey, Marvel’s also releasing a second volume of their punnily-named “Venomnibus,” starring everyone’s favorite Odie-the-dog-esque-giant-tongued symbiote. Though given some of the miniseries and one-shots it collects have their own punny names—“Sinner Take All?”—maybe the omnibus’ name is appropriate.